Alongside the emergence of the railways in the nineteenth century came a huge expansion of docks and shipping. Worldwide demand for Welsh steam coal also saw a population explosion in the towns of Newport, Cardiff, Penarth, Barry and Swansea. Foreign seamen, ship owners, opportunists, thieves and vagabonds all came in search of a share in the new prosperity. It resulted in hard-living overcrowded communities where drunkenness, prostitution, thieving, violence and murder flourished. Embryo Borough police forces were stretched to the limit and beyond to deal with it. Following privatisation, the police were withdrawn from the docks in 1985. And so it was that after 125 years of continuous police service, the last dock copper took off his helmet, locked the police station door and went on his way. 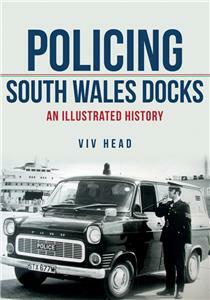 This book tells the story of the dock police in South Wales.